California is currently in the process of examining the extension last call at bars from 2 a.m.to 4 a.m. under the bill “Let Our Communities Adjust Late-night” (LOCAL Act). This will undoubtedly impact not only local patrons and LA visitors, but the city’s nightlife and hospitality industry as a whole. As Chief Consultant and owner of FE Design & Consulting in Los Angeles, my team and I have helped many entrepreneurs and small business owners open their bars, restaurants and nightclubs, navigating them through the red tape of this industry. With the LOCAL Act heading to the state assembly, it’s important to know what the bill entails, who would benefit, implications and more. The LOCAL Act, under the Senate Bill 384, would allow but not require local communities to extend alcohol sales hours in bars and restaurants to as late as 4 a.m. You may think this is not a big difference, but in an international city like Los Angeles, it’s a huge deal. Other major metropolitan cities like New York City, Las Vegas, and Miami have extended hours past 2 a.m. Considering California’s last call time was established during the Prohibition, it’s wise to say it’s time change it up and get with the times. With an extended last call, Los Angeles will be even more of a destination spot for visitors all over. There are a number of entities that would benefit for a bill like this to be passed, especially in the hospitality industry. To no surprise, restaurants, bars, and nightclubs would directly benefit from the extended hours, as there are more opportunities for people to visit and spend money, ultimately bringing in more revenue to the establishment. In many cases, alcohol sales make up the majority of the revenue. Indirectly, the cities themselves and other establishments would reap the benefits of the LOCAL Act. To use Los Angeles as an example, the city would have more amenities to offer. We already have exceptional beaches, incredible weather, and an amazing dining scene – why not add a better nightlife to the list? People love partying, so much so that they’re willing to fly to major cities like New York City and Miami to have a memorable time. With an extended last call, Los Angeles will be even more of a destination spot for visitors all over. Additionally, more jobs would become available to support the extended hours, helping boost the community as a whole. There are, of course, other implications tied to the bill if passed. If last call was extended to 4 a.m. in California, there would inevitably by more opportunities for drinking and, concurrently, more chances for intoxication in the streets. However, it can be equally argued that giving patrons a longer period of time to drink would be more effective. In other words, people can relax and drink in moderation as opposed to making a mad dash to the bar and drinking as quickly as they can before the clock strikes 2 a.m. The legislation will be a win for mostly everyone, but what are the next steps after that? Each municipality in the state will have to approve the applications, which would go through an administrative process or local revision to the municipal code to allow establishments to operate until 4 a.m. There will undoubtedly be costs associated as well, from submitting applications to acquiring new permits. Hiring someone to help facilitate the permitting process could potentially cost between $10,000 and $20,000 on top of the application. In addition to the legalities, it’s always a good reminder to be flexible when adapting to new regulations. It is never good to stay comfortable for too long – any change will be impactful but sometimes you must alter the structure of the business to survive in this dynamic and always competitive industry. Once all the i’s are dotted and the t’s are crossed, it’s important to note business won’t boom immediately. It will take some time for the public to catch up but when they do, it will be absolutely worth it. 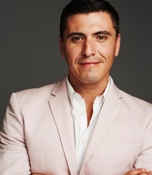 Eddie Navarrette, also known as “Fast Eddie,” is the founder and Chief Consultant at FE Design & Consulting. The Southern California native uses his expansive knowledge of planning, building and health codes to develop overall project design and strategy for his clients’ businesses.